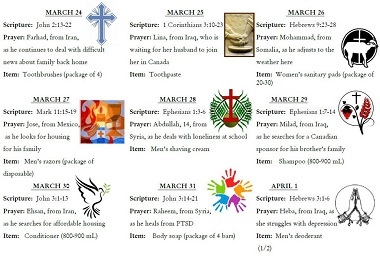 These ‘Journey Through Lent’ scripture readings are powerful in themselves – but they are even more resonant in the wake of the mass murder of Muslims attending two mosques in New Zealand. And they are attached to actions which allow us to do something positive. 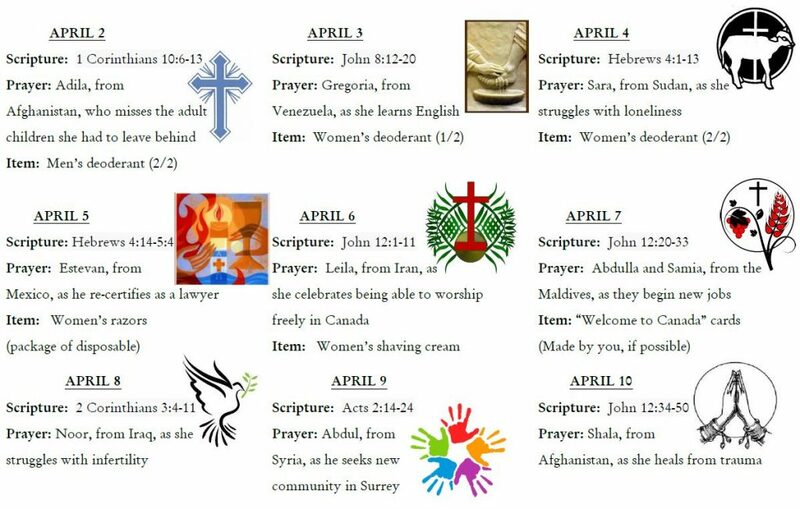 The daily invitations to prayers remind us of the challenges faced by newcomers as they make their home in Canada. Dena Nicolai, and others with her, have hit upon a novel program which provides practical help to newcomers, while sensitizing local people to their challenges. 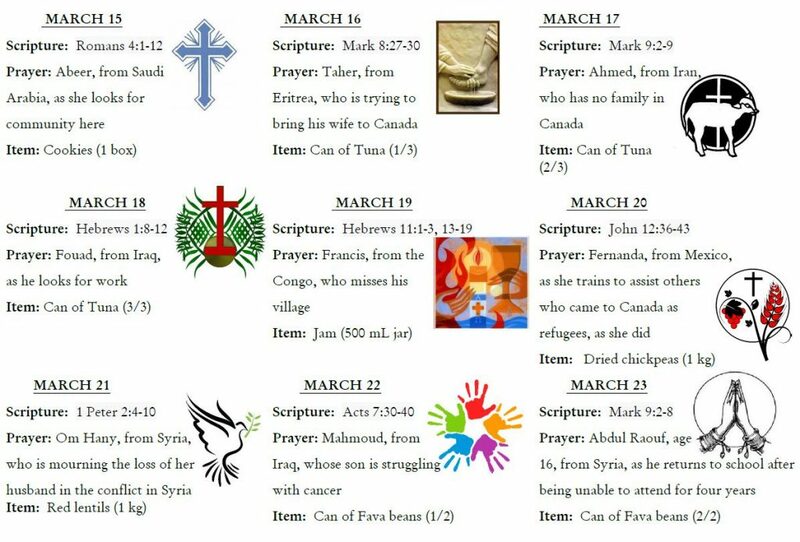 Each day in this Lenten calendar has an “item” attached to it; they are suggested purchases for ‘welcome boxes’ (with food and hygiene items) which will be given to refugee families shortly after they arrive at the Immigrant Services Society of BC (ISSofBC) Welcome House, situated right next door to Dena’s church, First Christian Reformed Church of Vancouver, at 10th and Victoria. 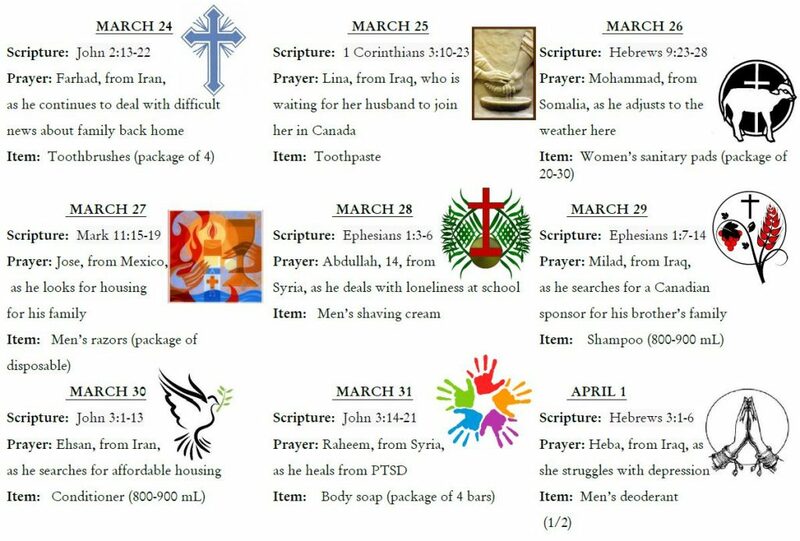 If you would like to take part, you can find out how below, following the suggested scripture readings. 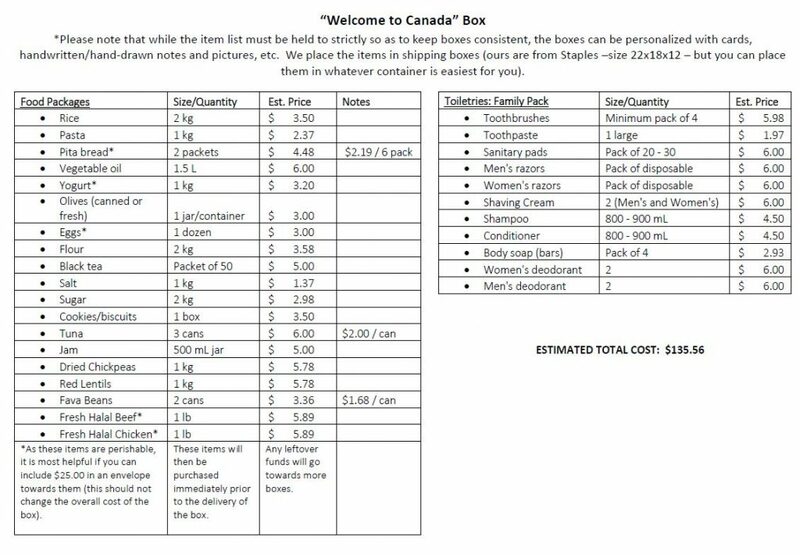 The welcome boxes, containing basic food and hygiene items, are meant to welcome the newcomers and remove some of the stress of shopping and cooking during their first weeks in Canada. The complete list of items, sizes and approximate prices is available below, to help with shopping. *We understand that some households may not be able to afford the complete cost of a box and that’s okay! Any number of the items you can collect will be gratefully received. 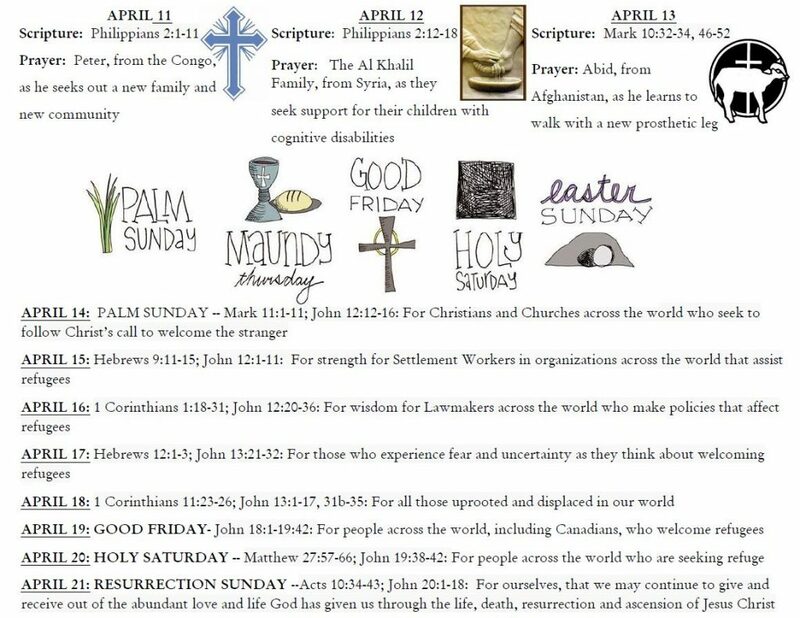 It would be most helpful if you are able to drop off the boxes at First CRC after the Easter holiday. Thank-you! 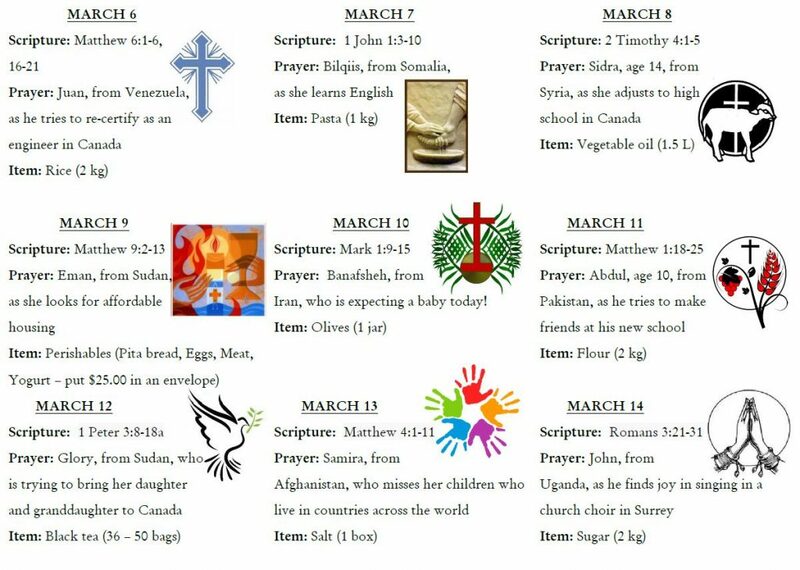 Please contact Dena Nicolai with questions or to arrange drop-off (dena@van1crc.org or 604.928.3094).